Palais Wilson in Geneva, where the CAT’s current session is being held. At its current session in Geneva, on 21-22 November 2016, the UN Committee against Torture (CAT) will examine the situation in Turkmenistan. 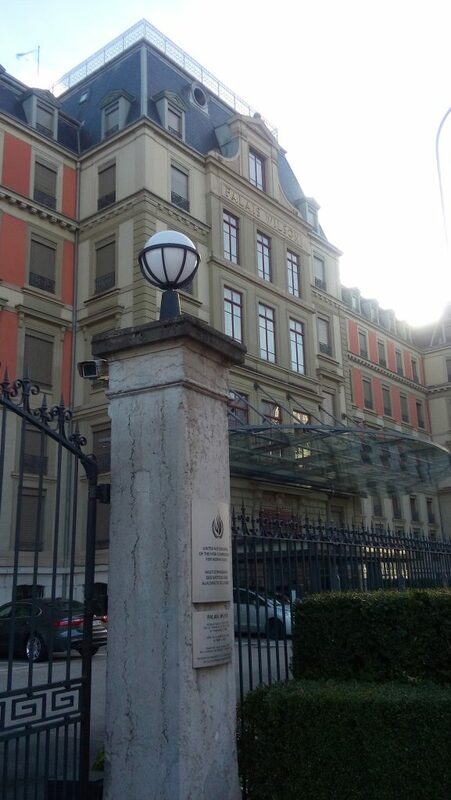 The Committee will review the second periodic report submitted by Turkmenistan about its implementation of the Convention against Torture and Other Cruel Inhuman or Degrading Treatment or Punishment, which the country ratified in 1999. Turkmen Initiative for Human Rights (TIHR) and International Partnership for Human Rights (IPHR) have prepared an alternative NGO report for the CAT review. This report provides information on a number of key issues concerning the realization of the Convention against Torture in Turkmenistan and assesses the government’s follow-up on recommendations made by the CAT following its first review of Turkmenistan in 2011. It is based on information obtained by TIHR through its monitoring of developments in Turkmenistan with the help of an in-country network of activists, as well as analyses of national legal instruments and other relevant information. It is the only NGO report submitted for the review. The apparent failure of the Turkmenistani authorities to enforce a new criminal code provision banning torture and ill-treatment. According to the authorities, no cases have been opened or examined by the courts under this provision since it was adopted in 2012, in spite of widespread allegations of the use of torture and ill-treatment in the country. The lack of an independent and effective national mechanism for monitoring detention facilities and the lack of unhindered access to such facilities for the International Committee of the Red Cross, even if representatives of this body have been allowed to familiarize themselves with selected detention facilities. Over a dozen outstanding requests to visit the country by UN special rapporteurs. In its new National Human Rights Action Plan for 2016-2020, Turkmenistan’s government has undertaken to initiate invitations for special rapporteurs, but to date only the UN Special Rapporteur on the right to religion or belief has been allowed to visit the country – in 2008. The lack of independence and transparency of Turkmenistan’s justice system, politically motivated abuse of this system to punish inconvenient individuals, and the continued lack of information about dozens of individuals who have disappeared after being imprisoned in secret, unfair trials. The unrelenting pattern of persecution of Turkmenistani journalists who cooperate with foreign media, civil society activists and government critics – both those residing in the country and those based in exile. According to TIHR’s information, authorities have further stepped up efforts to prevent the spread of information challenging government propaganda through the internet after the president made a statement on this issue last month. Forced evictions carried out without adequate advance notice or legal safeguards and without promptly providing those affected with adequate alternative accommodation or compensation. TIHR has documented an increasing number of evictions ahead of the Asian Indoor Games to be held in Ashgabat in September 2017. The CAT review will feature an interactive dialogue by the Committee with a Turkmenistani government delegation. Ahead of the review, on 18 November 2016, the Committee held an informal briefing with NGOs, at which representatives of TIHR, Turkmenistan’s Independent Lawyers Association (TILA) and IPHR shared additional information in follow-up to the written submission. In particular, TIHR Chair Farid Tuhbatullin and TILA Chair Timur Misrikhanov elaborated on the current situation in their country.